Officers of the Otago Mounted Rifles enjoying lunch outside an Australian dugout near Gabe Tepe on 31 July 1915. Arthur Bauchop is sitting in the centre behind Major Bob Grigor who is drinking from his mess tin. Credit: Toitū Otago Settlers Museum. Otago had two units carrying its name at Gallipoli: the Otago Infantry Battalion and the Otago Mounted Rifles. Neither was involved in the heroics of the landing at Anzac Cove on 25 April. The Otago Infantry did not begin landing until the afternoon. They were then put into a defensive line on Plugge’s Plateau, providing a fall-back position in case the Ottomans broke through the firing line on Second Ridge. The Mounted men, meantime, were left back in Egypt with their horses. They would not appear on the Peninsula (horseless) until later in May. The relatively minor role played by the Otagos through the first week of fighting left them as the ‘freshest’ of the New Zealand infantry battalions. They were therefore chosen to lead an attack planned for 2 May to take the key strategic position of Baby 700. This critical hilltop had been the site of a see-saw struggle throughout the landing day, each side temporarily in control until it was finally secured by the Ottomans. A week later it was heavily entrenched and defended by well emplaced machine-guns. Much of the blame for these poorly executed attacks lay with the Otagos’ commanding officer, Colonel Athelstan Moore. Formerly the Battalion’s adjutant, he had been promoted to command after the original Otago leaders had been found wanting in Egypt. His main claim to preferment was his status as a British Regular Army officer but, like many such, his performance at Gallipoli was to be found wanting. After the disastrous actions at Baby 700 and Krithia, Moore turned on his men. According to the Wellington commander, William Malone, the Otago CO blamed the Otagos’ failures on his men, concluding that “Colonials are no good”. In Malone’s view, however, the Battalion’s low ebb could be sheeted home to Moore’s performance: “It is a d-d shame, no better material in the world, but [in] this Bn it is the CO.”2 As so often in organisations, the leadership deficit at the top of the Otago Battalion had to be made up by those further down the command chain. This became clear on Chunuk Bair on 8 August. Late that evening the Otagos replaced the worn-out remnant of the Wellington Battalion, which had taken the crucial summit during the previous night and held it through a blood-soaked day (losing their beloved Malone in the process). It was now the southerners’ turn to withstand the brutal onslaught of Mustapha Kemal’s Ottoman forces, who were desperate to force the New Zealanders from the heights. It was the climactic confrontation of the entire Gallipoli campaign. 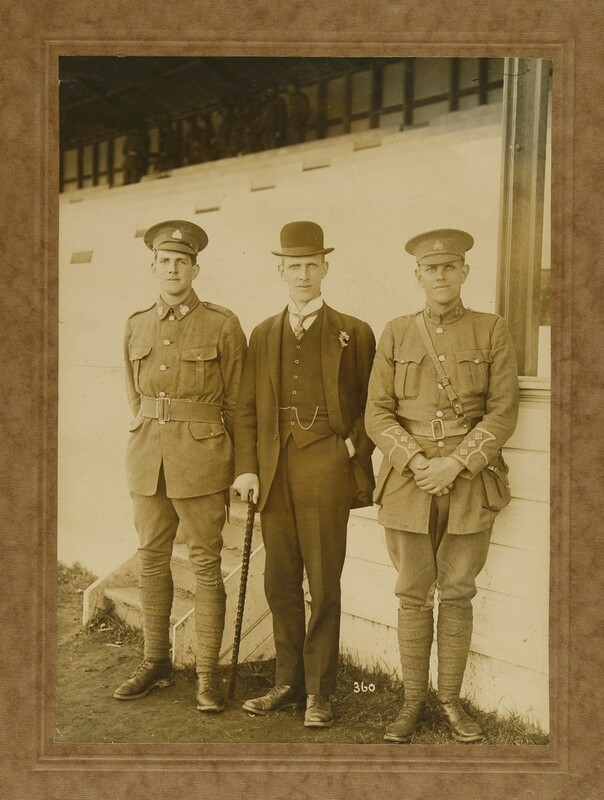 (From left to right) Private Clive, Charles (later Sir Charles) and Captain Frank Statham at the Otago mobilisation camp at Tahuna Park, 1914. Credit: Toitū Otago Settlers Museum. 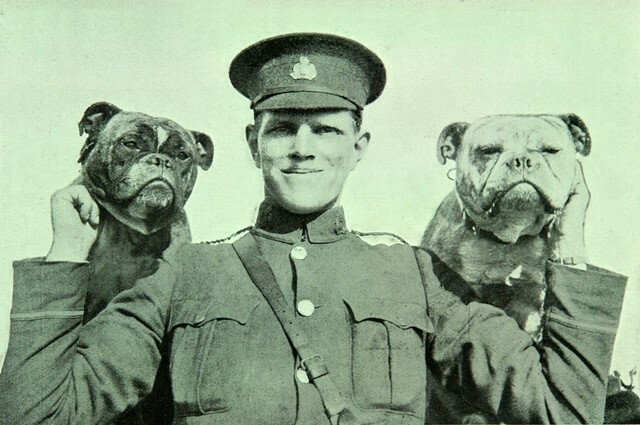 Frank Statham with the Otago Infantry Battalion's bulldog mascots. One of whom was named Alexander Godley. Credit: Toitū Otago Settlers Museum. 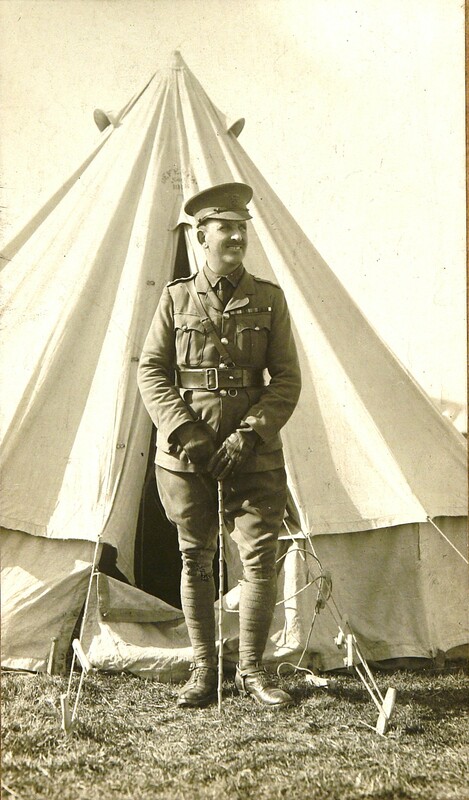 Lieutenant-Colonel Arthur Bauchop in 1914. Credit: Toitū Otago Settlers Museum. Meanwhile, down on the northern flanks of the Sari Bair range, the Otago Mounted Rifles had also achieved undying fame by taking and holding Bauchop’s Hill. The Mounteds had been called to Gallipoli in mid-May as the fearsome casualty toll of the first weeks of the campaign left huge gaps in the Anzac ranks. Both Light Horsemen from Australia and the men of the New Zealand Mounted Rifles abandoned their horses to play their part as infantrymen on the Peninsula. The Otago Mounteds were led by Colonel Arthur Bauchop, a man of very different stamp to Moore. Colonially-born and bred, Bauchop had risen through the ranks of the Volunteers, served with distinction in South Africa, and taken command of the Otago Military District pre-war. Ever-smiling, he was a born soldier, tough, determined, and secure in the confidence of those he led. The OMR took control of Anzac’s northernmost outposts through the summer of 1915. Bauchop led from the front from his dug-out at No 2 Outpost. Ewen Pilling. Credit: Otago Witness. 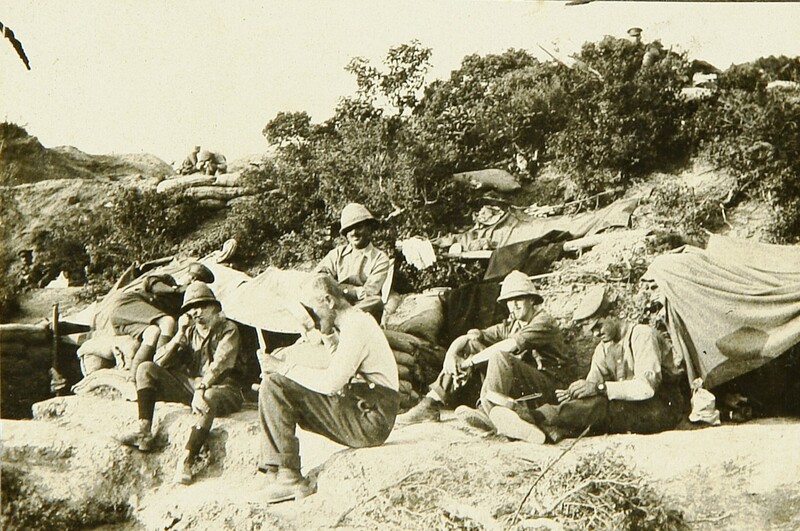 The New Zealand Mounted Rifles led off the attack on Chunuk Bair by clearing Ottoman posts on its northern approaches in a daring night-time advance with ‘bayonets only’. Described by Charles Bean as a “magnificent feat of arms, the brilliance of which was never surpassed, if indeed equalled, during the campaign”, this opened the way for the infantry advance up the valleys to the summit that followed. The Otago Mounteds’ role was to take Bauchop’s Hill, a strategic promontory named in honour of their commander. The Main Body men of the NZEF were in many ways the best and the worst of their generation. They included the keenest, most idealistic sons of Empire, as well as the ne’er-do-wells and adventurous rapscallions of New Zealand society. The Otago Battalion was no different. It had its share of rogues and reprobates but also the absolute cream of the province’s youth. Bauchop, the Statham brothers, and Ewen Pilling were all leading men in their fields or had the potential to become so. Each of them had gone through Otago Boys High School, while Pilling was a student at Otago University when he enlisted. Bauchop had been a great all-round sportsman in his days at the school, which still competes for an athletics trophy named for him. The Stathams were the sons of a well-known Anglican clergyman and their brother was a serving Dunedin MP. These older men had already established themselves in business and Bauchop and Frank Statham were married with children. They were the sort of men Otago could ill afford to lose but also patriots who could not resist the call to arms. Christopher Pugsley, Gallipoli: The New Zealand Story, Auckland, 1984, pp. 131-34, 174-81, 195-99. Diary entry 19 May 1915, John Crawford with Peter Cooke eds., No Better Death: The Great War Diaries and Letters of William G Malone (2nd edition, Auckland: Exisle, 2014), p.199. History-Sheet and related papers, Frank Hadfield Statham NZEF personal file [PF], R7889930, Archives New Zealand Wellington [ANZ]; History-Sheet and related papers, Clive Heathcote Falk Statham, PF, R7820811, ANZ. Evening Star, 30 October 1915, p.9. An Anzac Memory: Extracts from the Rough Diary of Lieutenant E.G. Pilling NZ Expeditionary Force, Dunedin, 1933, p.52. History-Sheet and related papers, Clive Statham, PF; Base records to May Statham, 17 March 1916, frank Statham PF; Evening Star, 30 October 1915, p.9. Richard Stowers, Bloody Gallipoli: The New Zealanders Story, Auckland, 2005. p.188; Otago Boys' High School Magazine, December, 1915, p. 176; Frank Statham, Auckland War Memorial Museum Online Cenotaph. 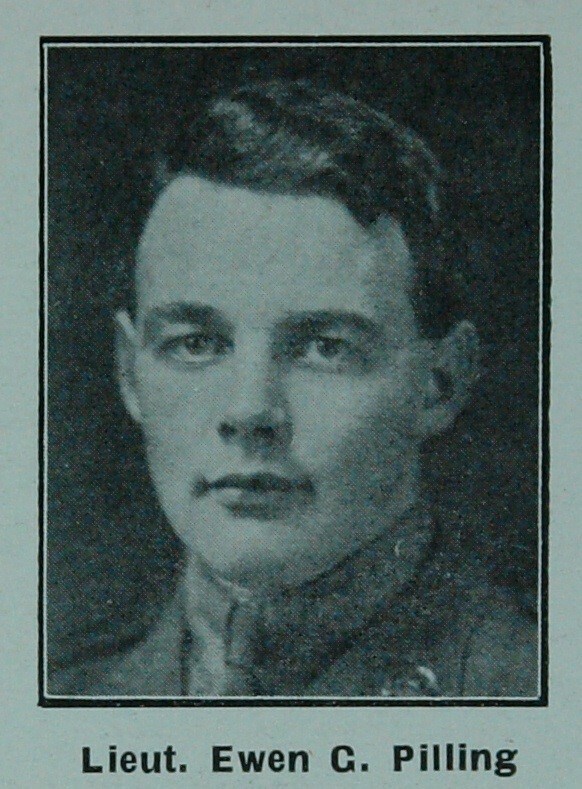 Otago Boys' High School Magazine, October 1917, p.144; A.E. Byrne, Official History of the Otago Regiment, NZEF in the Great War 1914-1918, Dunedin, 1921, pp.56-63. Otago Daily Times, 16 October 1915, p.9. Noel Trolove, 'Memories of Gallipoli - August 1915 by 7/4 -, MS-Papers-10283, Alexander Turnbull Library Wellington. Godley to Allen, 14 August 1915, as quoted in Terry Kinloch, 'Hell Let Loose' in Don Mackay ed., The Troopers' Tale: the History of the Otago Mounted Rifles, Dunedin, 2012, p.181. ibid., diary entry 17 August 1915, Arthur Cargill diary, Misc-MS-0636, Hocken Library, Dunedin. Otago Boys' High School Magazine, October 1917, p.144.